“Be not carried about with divers and strange doctrines. I received the content of the following two pictures through mail, still, I do not know the originator. I thought to put the subject / content in to a picture and publish it and I used “CorelDraw X6″ to create these picture. 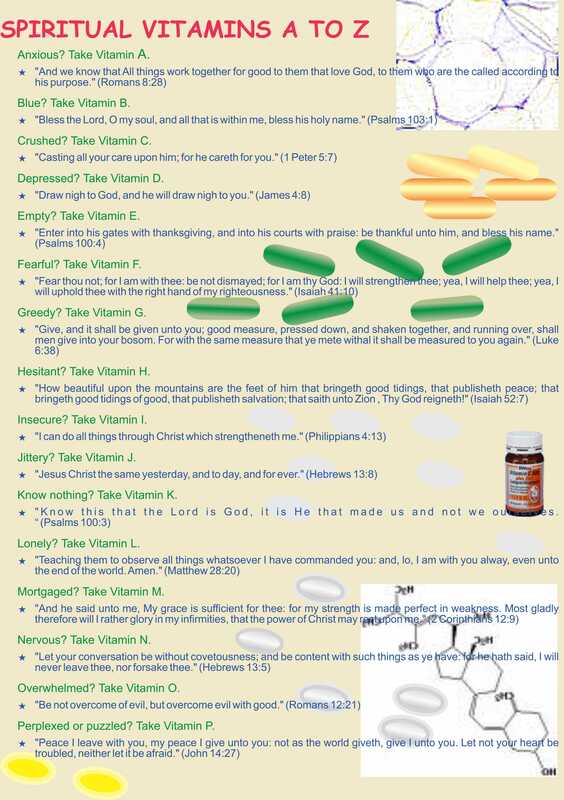 Hope, it is an another “Where to look?“, but, I am sure the VITAMINS are from “The Book of life” – The Holy Bible.